We’re thrilled with the strong results of the evening sale. Our results tonight are more than double this time last year due to the strengthening of the market and also to our new location at 450 Park Avenue, which has boosted the company. Phillips de Pury & Company announces the results of the Contemporary Art Part I sale totaling $98,825,500 and selling $91.53% by value and 78% by lot. Following the success of the November sales, tonight’s sale underscores the company’s continued growth and ability to achieve outstanding results. 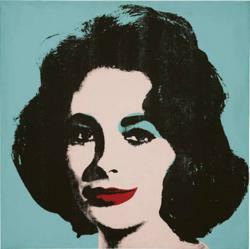 The iconic portrait of the legendary actress Elizabeth Taylor stole the show selling for over 26 million while works by blue chip artists including Roy Lichtenstein and Ed Ruscha demonstrated the continued demand and strength of the market. “We’re thrilled with the strong results of the evening sale. Our results tonight are more than double this time last year due to the strengthening of the market and also to our new location at 450 Park Avenue, which has boosted the company.” -- Simon de Pury, Chairman and Chief Auctioneer of Philips de Pury & Company. “I am delighted with tonight’s results, which continue to highlight our strength in the contemporary market with both blue chip and emerging artists. Tonight we generated an energy and buzz in the saleroom due to a great selection of works that contributed to the overall success.” -- Michael McGinnis, Senior Director and Worldwide Head of Contemporary Art.